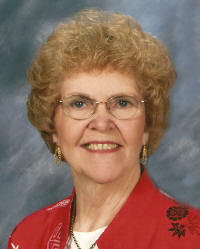 Imelda Ann “Millie” Jansen, nee Meyer, 72, of Belleville and formerly of St. Rose, died Saturday, February 7, 2009 at St. Elizabeth Hospital in Belleville. Millie was retired Dietician at St. Elizabeth Hospital in Belleville, and formerly worked for the Swansea Improvement Association where her input was highly regarded. Member of St. Teresa Catholic Church in Belleville, Breese American Legion Post 252 Auxiliary and past president, Belleville-Swansea Lioness. Millie was a strong supporter of the Clinton County and St. Clair County Relay for Life where she was one of the longest cancer survivors.